PDF-2 2019 is the most cost effective license! PDF-2 features a FREE stand-alone option using ICDD’s integrated data-mining software, along with ICDD’s search-indexing software, SIeve. 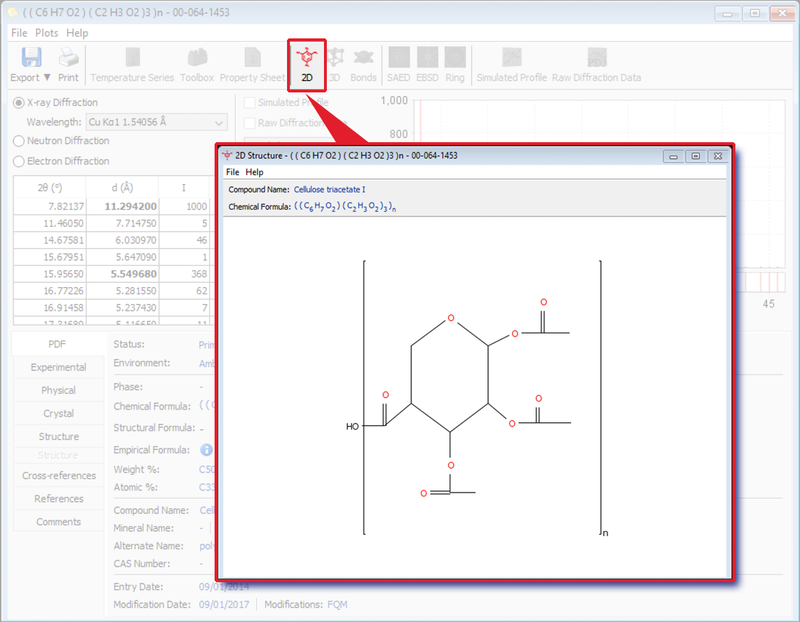 Designed for inorganic materials analyses, PDF-2 also includes common organic materials from ICDD to facilitate rapid materials identification. You can trust your diffraction data to ICDD. All ICDD databases are reviewed, edited, and standardized prior to publication. You can be confident with PDF-2 to get you the right answer. The PDF-2 database is licensed for five (5) years and offers the highest value in the global marketplace. This value is due to its low annual cost amortized over the lifetime of the license, combined with its large content of powder and single crystal powder data, and its high level of quality with embedded software for data mining and search-indexing. Quality and subfile filters combined with 68 different searches and 53 display fields enable you to target your results for more accurate identification. The database is not just a collection of numbers; it is a sophisticated data analysis tool. Looking to convert from PDF-2 to PDF-4+? ICDD’s search indexing program, SIeve for PDF-2, is now FREE. It is designed to search and identify unknown materials. SIeve is integrated into the ICDD database to allow the use of the extensive data mining interfaces, searches, and sorts available to improve accuracy and precision of the identification process. For example, users can utilize the extensive permutable searches in each database, then define their own search subfile or use any of the “application or expert-defined” subfiles and subclasses to increase the accuracy of their phase identification. In many cases, this provides a unique capability to analyze the most difficult problems. 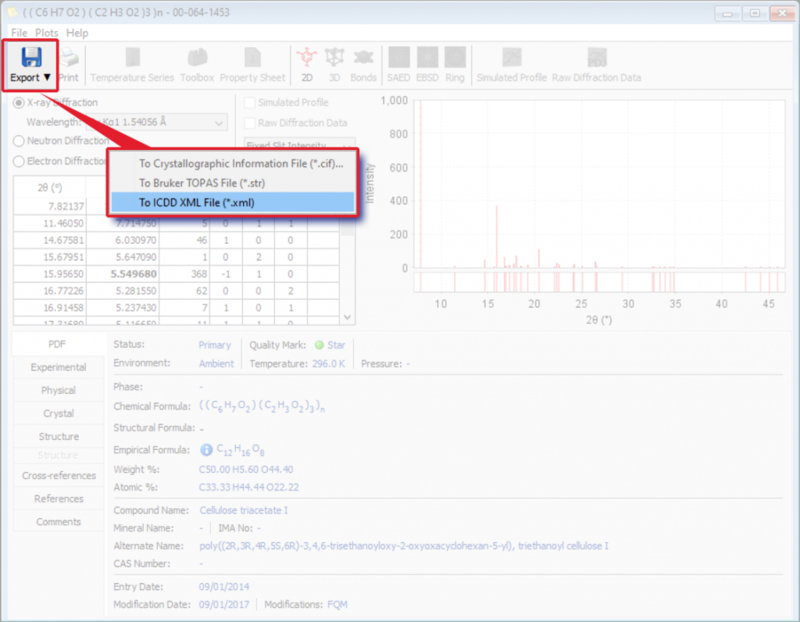 SIeve offers a variety of algorithms and options that allow users to optimize results for particular chemistries and both standard and non-standard diffraction systems. SIeve features automatic rotation of the eight strongest lines (Hanawalt) or the eight longest of the strongest lines (Fink) or the eight longest lines (Long8) to look for entries that exhibit the best Goodness of Match (GOM). In the last few years, new algorithms have been added to identify non-crystalline materials and complex multi-phase specimens. Most of the algorithms were developed and optimized for a particular type of analysis and the options provide the user with a wide breadth of analytical capability. SIeve can be complementary with most commercial software programs. 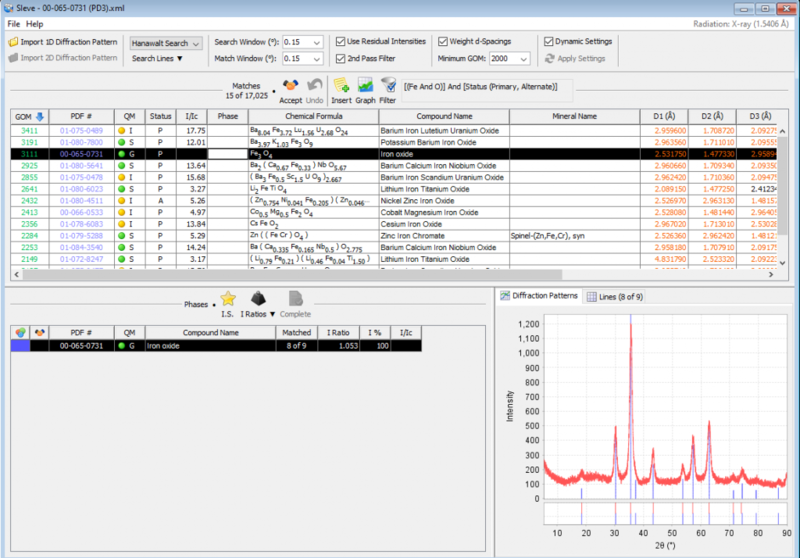 This complementary nature demonstrates the strength of SIeve in the analysis of minor and trace phases where the full filtering capability of the PDF-2 database can be applied. The term of the license shall be five (5) years from the license registration key date. Registration is required upon installation. A registration key will be issued within 48 hours (Monday through Friday) of receipt of your information. 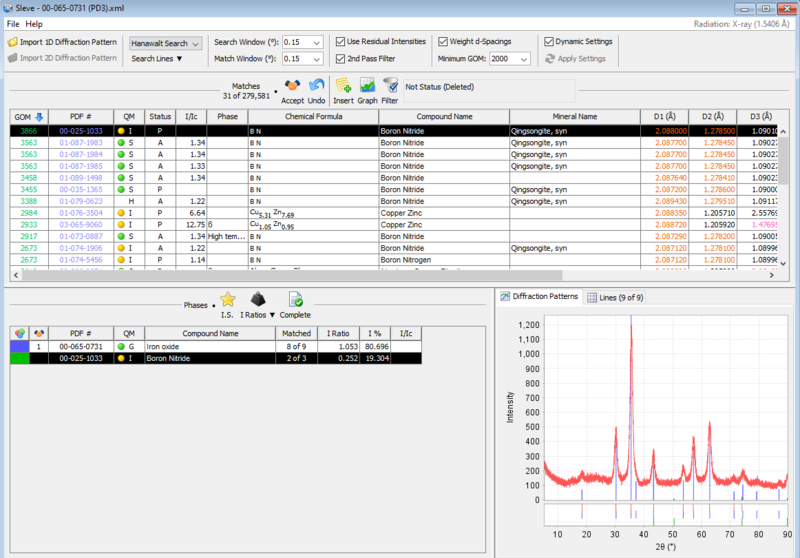 The PDF-2 2019 database contains integrated data mining software, and as a value added feature, a complimentary license for SIeve, a search-index plug-in. Explore the capabilities of PDF-2 2019 with our extensive Help documentation, online tutorials and videos. The Help files include a Table of Contents and fundamental information on how to use the database. The online tutorials are designed to demonstrate the features, applications, hints and shortcuts for your PDF-2 product. The prices listed herein supersede all others previously published and are subject to change without notice. ICDD reserves the right to discontinue any product at its discretion. See the Price List or contact our Customer Service Department for the most recent product information and pricing.